Entrepreneurs Taylor Lane and Zach Groffsky were frustrated with the products they saw for men’s care at their local pharmacy. 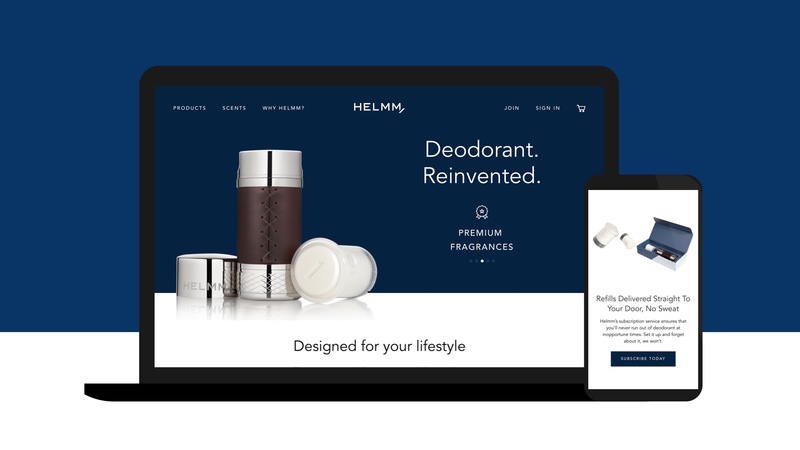 They thought there was an opportunity to radically re-invent the deodorant and antiperspirant category, and we partnered with them to help launch Helmm. Designed for the modern man, Helmm is a collaboration of the industrial design and branding talents of Prime Studio, the web development of Shift Lab and the Studio Rodrigo design team helping Helmm’s founders bring their direct-to-consumer product vision to life and to market.